In late October of this year, the Iraqi National Oil Company (INOC) was reinvented with the planned transfer of all of the subsidiary oil and oil-related companies in Iraq under one, corporate umbrella. INOC was initially created in 1966 but was merged with the Ministry of Oil in 1987. The re-establishment of INOC as an independent enterprise is an effort to separate the Oil Ministry’s new mission of strategic planning and INOC’s mission of oil sales and operations. Formerly, the four regional oil companies in Iraq were formed independently and lacked cohesion and uniformity in design and activity. The Oil Ministry in Iraq always had the power to conduct petroleum commerce, but it was hostage to both the individual oil companies and their varying degrees of cooperation and expertise as well as the political necessities of the party controlling the Ministry. The first CEO of INOCs reincarnation is Jabar al-Luaibi who also the most recent outgoing Oil Minister. Al Luaibi is generally considered both quite able and generally non-partisan. He was elected unanimously by the Council of Ministers. 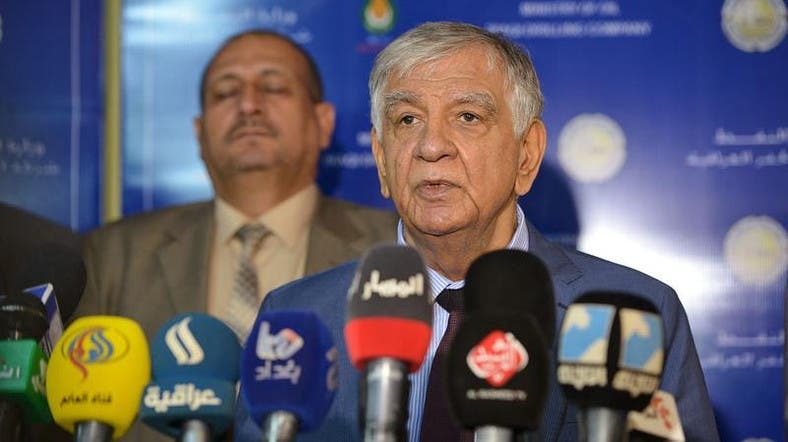 He has delayed control of the entire oil apparatus of Iraq in deference to the new Prime Minister-designate Adel Abdul Mahdi and his Administration. Such control in hoped to be formalized soon. INOC is empowered to coordinate Iraq’s oil enterprises under corporate leadership as opposed to the political leadership of the Iraqi government and its Oil Ministers. The Oil Ministry will be confined to strategic planning for Iraq’s oil reserves which are alternatively estimated to be either the second or third largest on earth (depending on how great the undiscovered Russian reserves are estimated to be). INOC will control the oil companies throughout Iraq as well as the refineries, shipping, oil drilling and support enterprises and other ancillary companies. Last, INOC will take control of the State Organization for Marketing of Oil (SOMO) which is the enterprise that has been solely in charge of foreign oil sales. INOC’s aims are not modest. As an outset goal, Al Luaibi announced that Iraq would be increasing its production to seven million barrels a day in 2019 and hopes to be shipping a million barrels a day through the Jordanian Port of Aqaba. Also and very significantly, the burn-off of natural gas would stop by 2021. This alone would make Iraq one of the largest suppliers of liquid natural gas (LNG) in the world. LNG is potentially more valuable than the oil itself. Iraq has been a loyal ally – especially in the fight against ISIS – and should be allowed the waiver at least to the extent that it benefits where Iran does not. This would be good national policy for the United States and for Iraq. Apart from re-establishing INOC, Iraq has taken other measures to transform the relationship of Iraqis to the ocean of oil burbling beneath them. The Iraqi Parliament has also taken legislative measures to bolster the citizenry’s interest in oil. Iraq has always allowed the provinces to directly benefit from oil production in that province. Now that benefit will take the form of a more standardized subsidy. Each province will be allowed to claim 5% of the revenue generated from one of that province’s oil-related enterprises: oil production; natural gas production; or, oil refining profits. These profits have been withheld for several years and given over to the national emergency funding the fight against ISIS. This year, these monies should be returning the provinces. Additionally, national legislation is pending that would grant each Iraqi a small, direct subsidy from the oil profits. Like in the state of Alaska in the United States, each Iraqi would receive an annual check as a “shareholder” in the Iraqi national enterprise – oil. This is a great idea and softens the impact of the sacrifices that many ordinary Iraqis have to make to support the industry. It also gains for Iraqis a “rooting interest” in the success of the enterprise. If the Alaska experience is any indicator, this should be a roaring success. All in all, Iraq is taking a strong approach to “normalizing” its oil dealings internationally. This corporate approach will not only allow Iraq to be a better player in the international oil market but it will go a long way to stabilize the basket case that is the Iraqi economy. A steadier hand on the helm of oil will allow Iraq to concentrate its efforts on developing other sectors of its economy where the real Iraqi wealth and national well-being will be created. Michael Patrick Flanagan represented the 5th District of Illinois in the historic 104th Congress. He sat on the Committees on the Judiciary, Government Reform and Oversight, and Veterans’ Affairs. Prior to his Congressional Service, Michael was commissioned in the United States Army Field Artillery. After leaving Congress, Michael and his firm, Flanagan Consulting LLC, have represented both large and small corporations, organizations, and associations. In 2009, Michael took a sabbatical from his lobbying business and entered public service again with the United States Department of State in Iraq as the Senior Rule of Law Advisor on the Maysan Provincial Reconstruction Team (PRT) in Maysan, Iraq. For his work, Michael was awarded the Man of the Year by the Iraqi Courts, the Civilian Service Medal by the US Army and was also given the Individual Distinguished Honor Award. 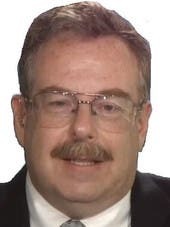 Michael is currently a consultant in Washington, D.C. His email ID is CommentsForMike@flanaganconsulting.com.